Bar Cash and drink prizes to be won. Join Sydney's most popular trivia night - Sponsored by The Rocks Brewery. 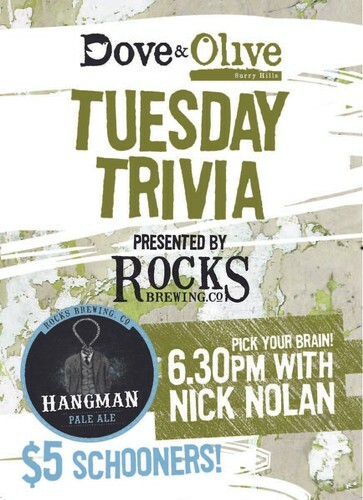 $5 Schooners/ $13 Jugs of Hangman Pale Ale!